MIDTOWN, Manhattan (WABC) -- Emergency drills are being held overnight at Grand Central Terminal, as the FDNY works with the Marines on a rescue exercise. Through the exercise, about 150 Marines from the Chemical Biological Incident Response Force will conduct training on how to remove chemical or biological attack victims from a train, out to the platform out of Grand Central to the street level where they can proceed with mock decontamination. Metro-North train service will not be effected by the drill, which is scheduled to begin at 11 p.m. and end at 5 a.m. Friday, although entrances to Grand Central from Vanderbilt Avenue may close earlier than usual, according to the MTA. 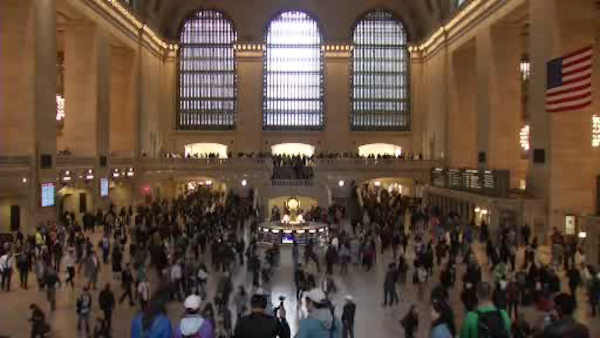 Grand Central's Biltmore Room was closed to the public at 8 p.m. to accommodate the exercise. A staging area for the tactical drill will be established along Vanderbilt Avenue and 43rd Street for emergency response personnel, and the MTA Police Department will close off selected blocks for exercise staging.